Dyke Road runs inland along the dividing line between Brighton and Hove and was built up either side of World War I. 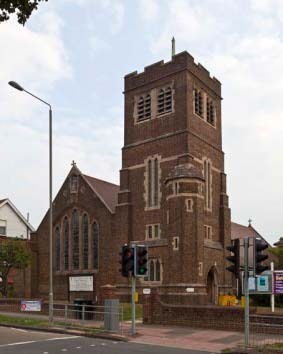 There was first a temporary iron church, which was replaced in 1921-22 by the first stage of a permanent one, consisting of the nave of the present brown brick church. This is quietly pleasing and in keeping with its comfortable but unassertive surroundings. It was designed by E P Warren (WWA 1924) and the gothic detail derives from various periods, combining lancets with Perp tracery (e g in the south chapel). The second stage, consisting of the south west tower, chancel and south chapel, was not completed until 1927 (CDG (NS) 75 p225). The aisles are little more than passages, with stone lintels behind each pier, carved with ogees. 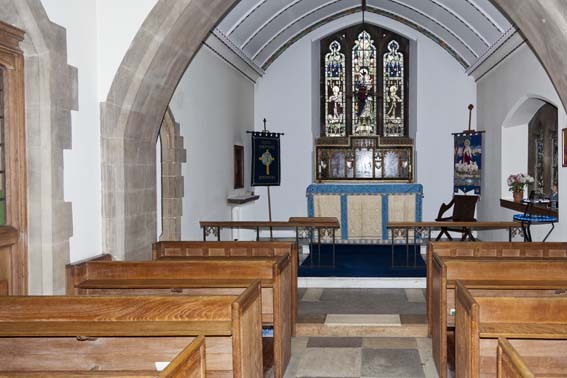 There is no chancel arch, so the interior is spacious despite its low, painted wagon roof, which is panelled and has dormers. Many fittings (see below) by W H R Blacking date from the early years of the church (TCA 3 p127). 1. (Chancel and south chapel) Ward and Hughes, 1926-27 (mostly signed). 2. 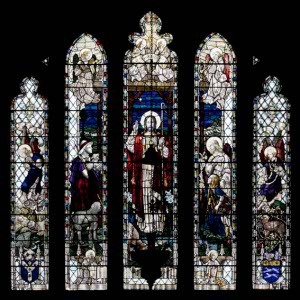 (West window, centre light of window in south aisle and one in north aisle). Made by Barton, Kinder and Alderson, 1953-62. 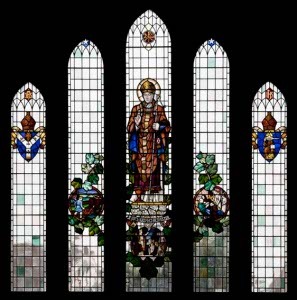 The west window was designed by C Knight (church website), as were probably the others. 3. 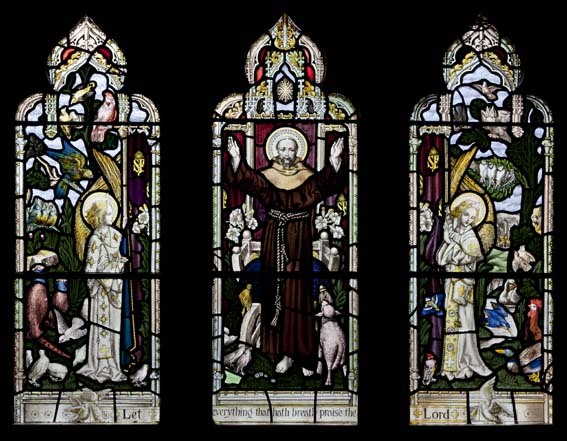 (North aisle, west window) H R Mileham, 1942 (P Mileham p20). Organ Case: Designed by Blacking with an inscription by J Cribb (church website). Reredos: Draped with angle-posts and also by Blacking. 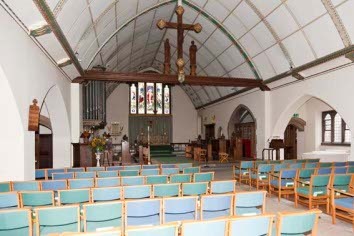 The paintings are by Mileham (church website). Rood: The only division between nave and chancel. By Blacking, with figures by F E Howard (BE(E) p281). Statue: (West gable exterior) C Knight, 1952 (Ibid).